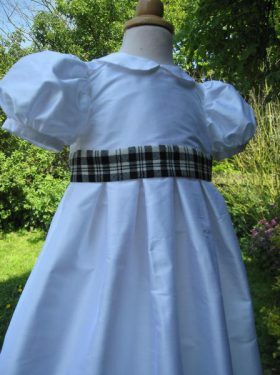 This delightful little creation is ideal for those summer baptisms when you want the feel of something grand but without the length of a full christening Gown. 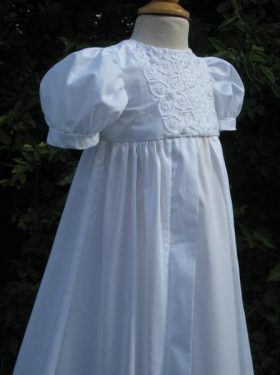 The Anastasia Christening dress has been created with older babies in mind but is equally as beautiful on tiny tots as well! 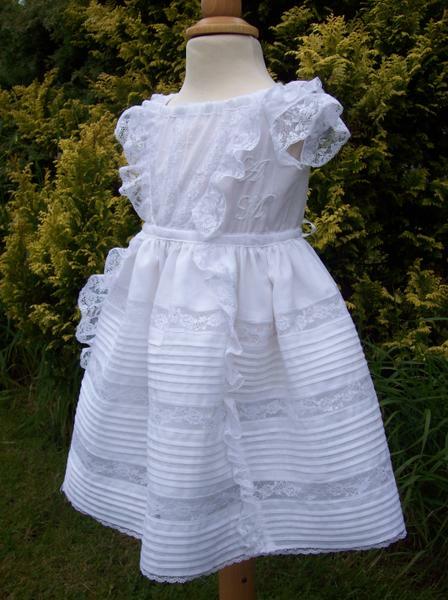 Made from 100%cotton lawn, the skirt has rows and rows of tiny pintucks, separated by the most gorgeous cotton insert lace ever. 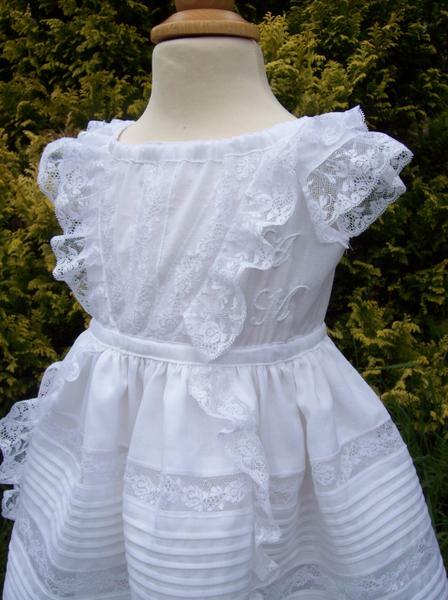 The skirt is fullsome and joins the bodice with tiny gathers. 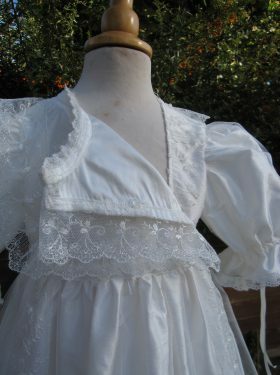 Based on a Victorian pattern the bodice is decorated wth lace insert panels. 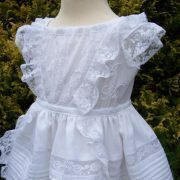 Wide lace robings continue from the skirt, through the bodice and over the shoulder to create the most beautiful sleeves. 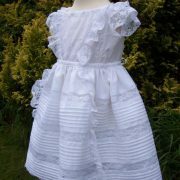 A lovely lace frill completes the decoration on this little dress. 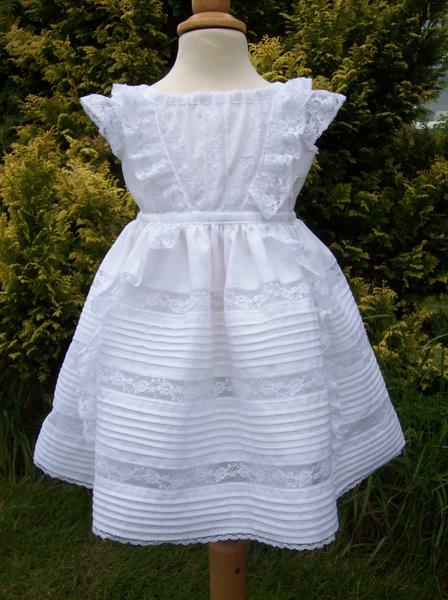 The dress fastens by two drawstrings (so popular in the Victorian period), one at the waist and one at the neckline. 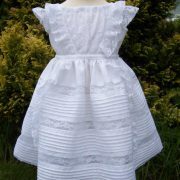 All in all, a lovely addition to the Little Doves' Classic Collection. 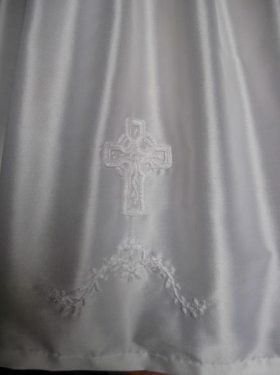 All Anastasia Christening Dress accessories are made to match the Christening Dress using the same cotton fabric and matching cotton lace trim.